Easter was always my favorite time in the bakery. 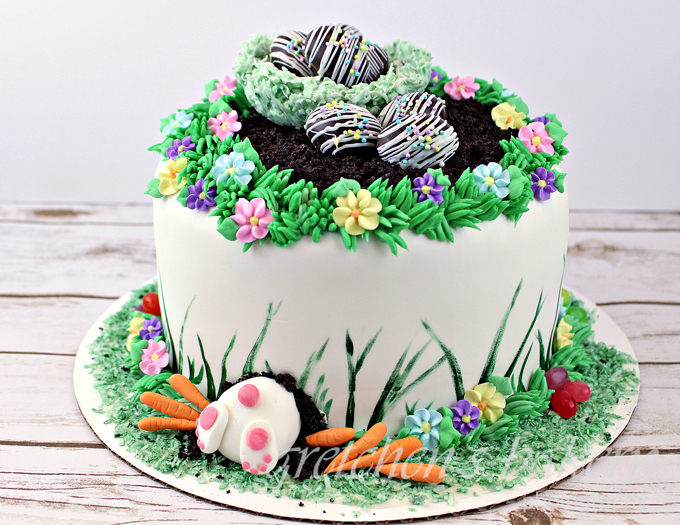 The store was just bursting in pastels with cakes & cookies adorned in everything Easter! But this year I wanted to keep it simple. 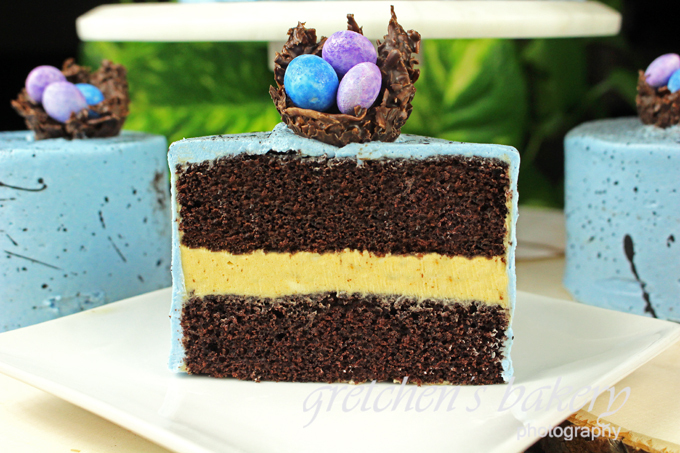 Simple and delicious with these Chocolate Peanut Butter Speckle Cakes. 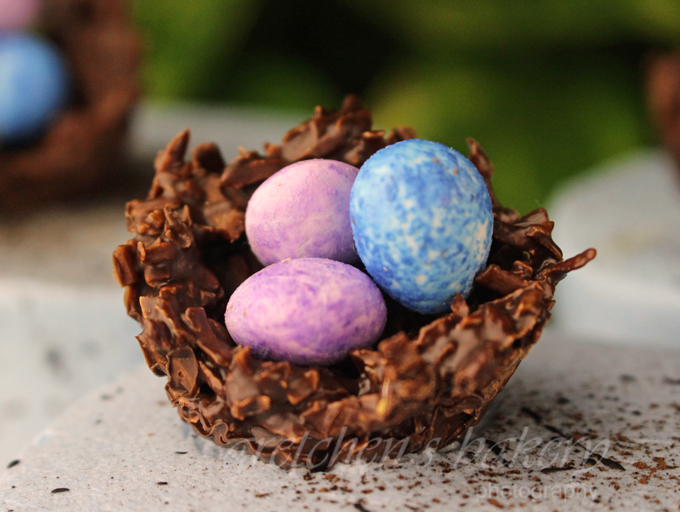 Each one is speckled like a robins egg and a tiny chocolate coconut nest on top. 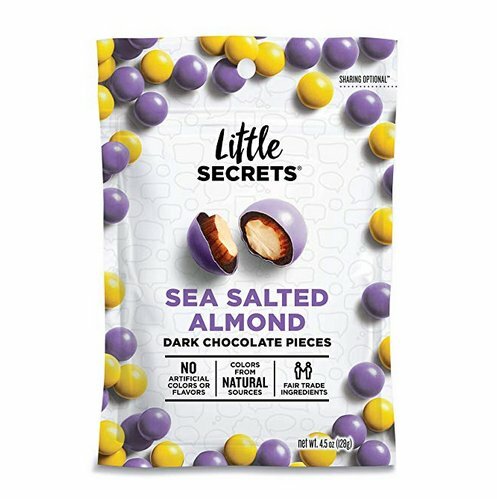 I used Little Secrets chocolate candies for the “eggs” since they are vegan and taste just like Peanut M&M’s! 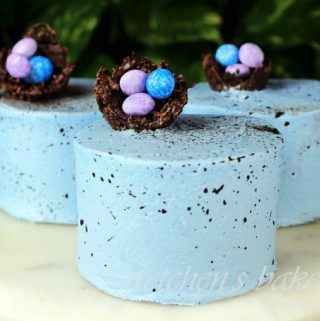 These mini cakes are a really easy way to make a beautiful dessert this spring! 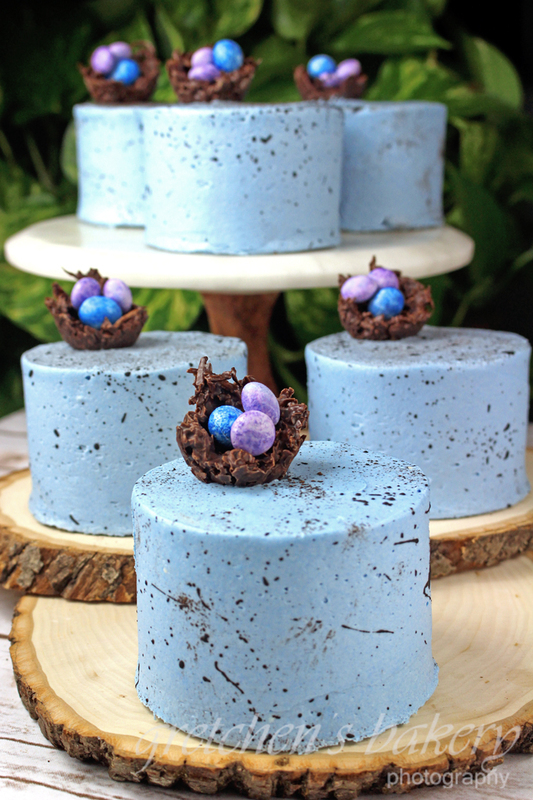 I used a 3½" cookie cutter to make my individual cakes and with 2 layers in each and a nice amount of filling, these cakes could easily serve 2 people! 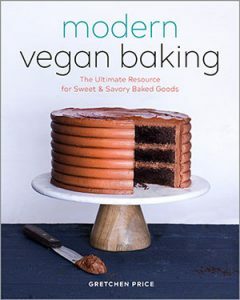 Divide the buttercream recipe in half and add ¾ cup of peanut butter powder to half and a full packet of the blue spirulina food color to the other half. 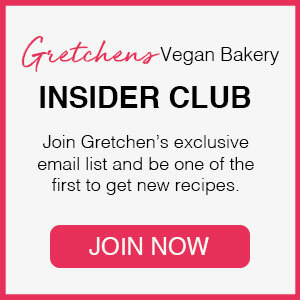 Make the coconut nests by combining 1 cup unsweetened flake coconut with ¾ cup semi sweet vegan chocolate (melted) press a heaping tablespoon into mini muffin tins lined with plastic wrap. The cakes will stay just fine at room temperature for up to 3 days in an airtight container.